Witch Hollow is a very good walking golfers club. 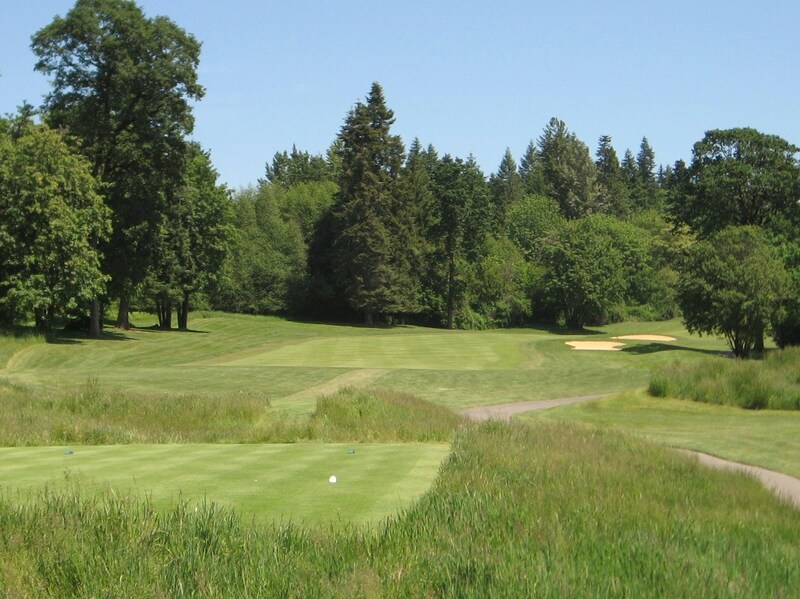 It is a solid course in a beautiful setting and the strategic layout makes for a challenging yet enjoyable round of golf. There are elevation changes throughout, but they are always incorporated seamlessly into the layout which makes walking a breeze even on a 90 degree day. 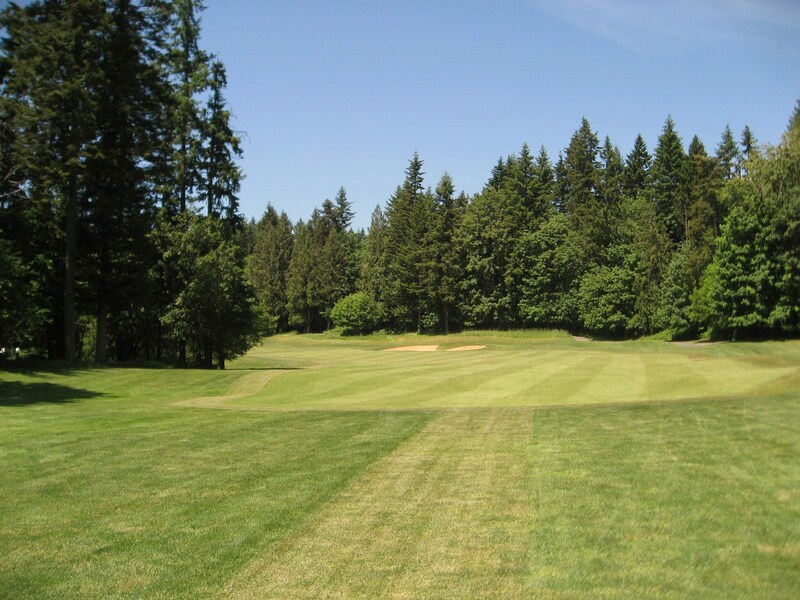 Carts must remain on the path at all times, further encouraging walking in the membership, and there are five sets of tees so everyone can play the appropriate distance and difficulty. The conditions at Witch Hollow are quite good. The rough is usually thick but fair, and the bunkers are well maintained. The staff at Witch Hollow are very courteous and the members are fortunate to have several of the top instructors in the country on staff. The approach into the Par 5 18th at Witch Hollow. Photo by Rob Rigg. 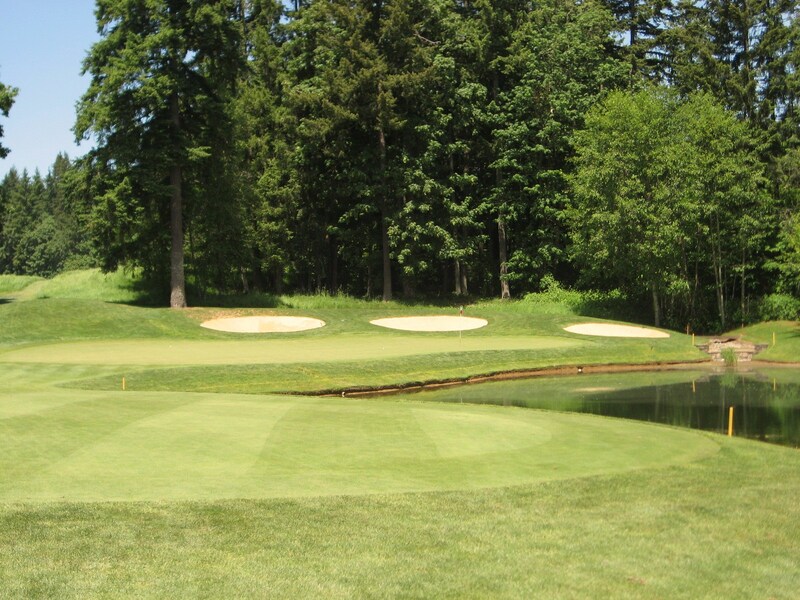 Witch Hollow, the private course at Pumpkin Ridge, has hosted many USGA events and it is where Tiger Woods won his unprecedented third straight US Amateur title in 1996. 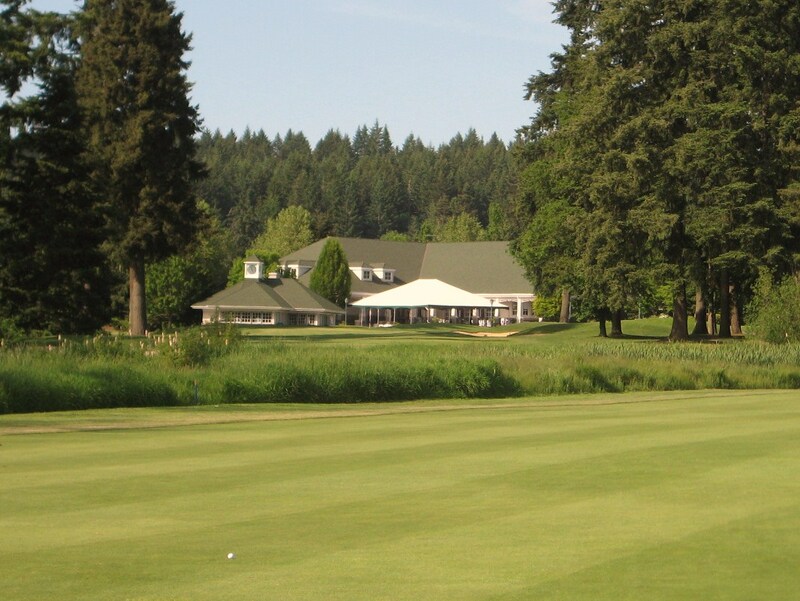 Ghost Creek, the semi-private side, has also hosted many national tournaments including the Nike Tour Championship on multiple occasions, and will be hosting the upcoming 2009 LPGA Safeway Classic. 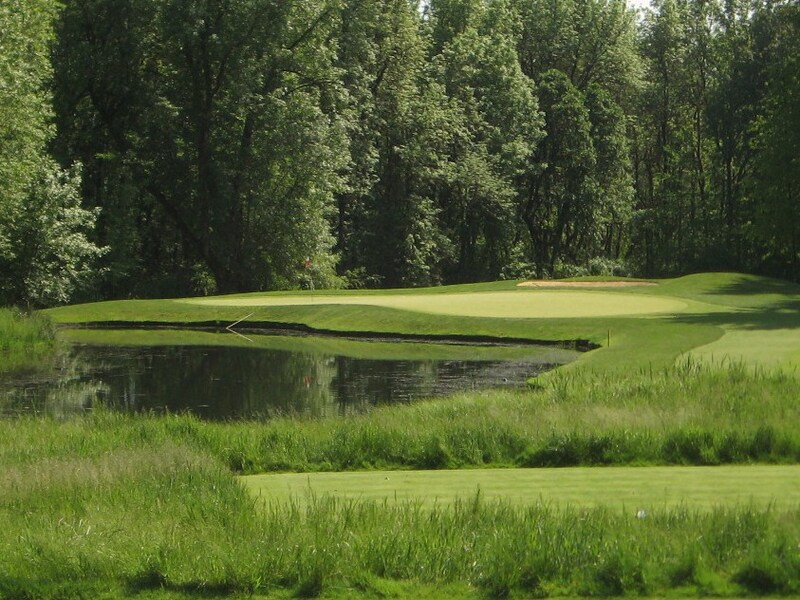 Bob Cupp designed both courses which opened in 1992 to national acclaim. 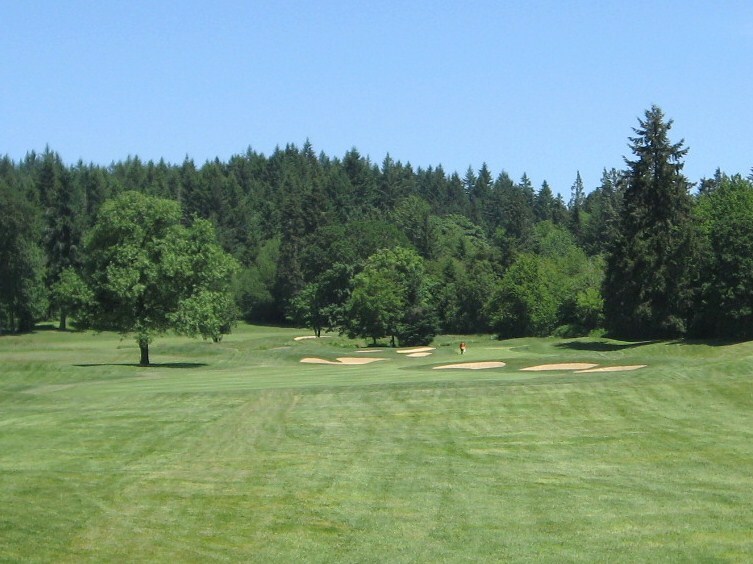 Pumpkin Ridge is located about 45 minutes west of downtown Portland. The first is a nice opener. A wide fairway welcomes a well struck driver or three wood, but the bunkers on the right and tree on the left will punish anything too sloppy. 1st tee shot at Witch Hollow. Photo by Rob Rigg. Bunkers line the left side of the fairway on the approach and protect the rather small green on that side. The golfer is immediately introduced to fast putting surfaces with a lot of movement. 1st Green at Witch Hollow. Photo by Rob Rigg. The second is a straight forward one shotter that calls for a well placed tee shot to have a chance at birdie. The golfer will see a recurring theme at the second green, a ridge that separates one side from the other. A putt from the “wrong” side can be scary difficult. 2nd Hole at Witch Hollow. Photo by Rob Rigg. Mr. Cupp has given the golfer a couple holes to warm up and get a feel for the course. He begins to turn the screws at the par four third which is a dog leg right that requires a well placed tee shot to the left of the fairway bunkers. 3rd Tee at Witch Hollow. Photo by Rob Rigg. This is a great green complex. 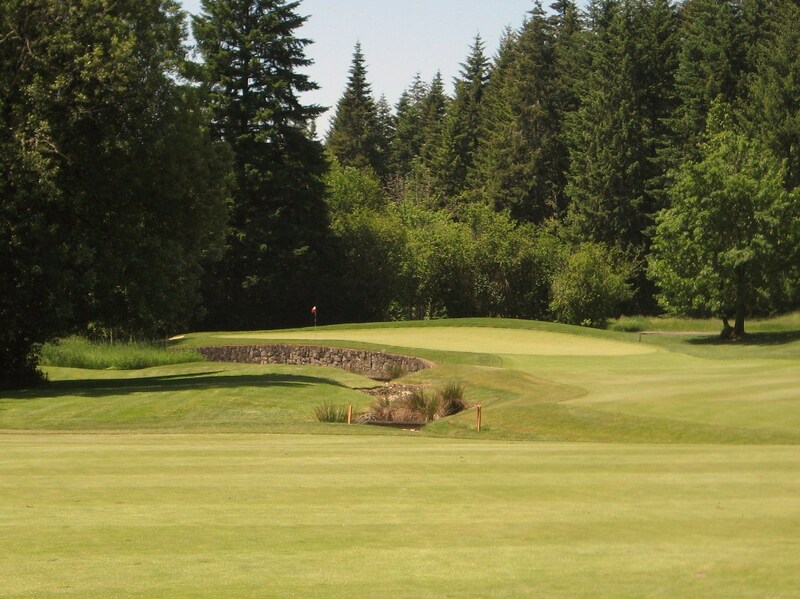 A small creek runs just short of the green and a mound on the left side hides the difficult hole location on this day. A bail out too far right on the approach will leave a tough bunker shot across a quick putting surface that slopes back to front. 3rd Green at Witch Hollow. Photo by Rob Rigg. The par five fourth takes a couple of solid hits to get home in two. 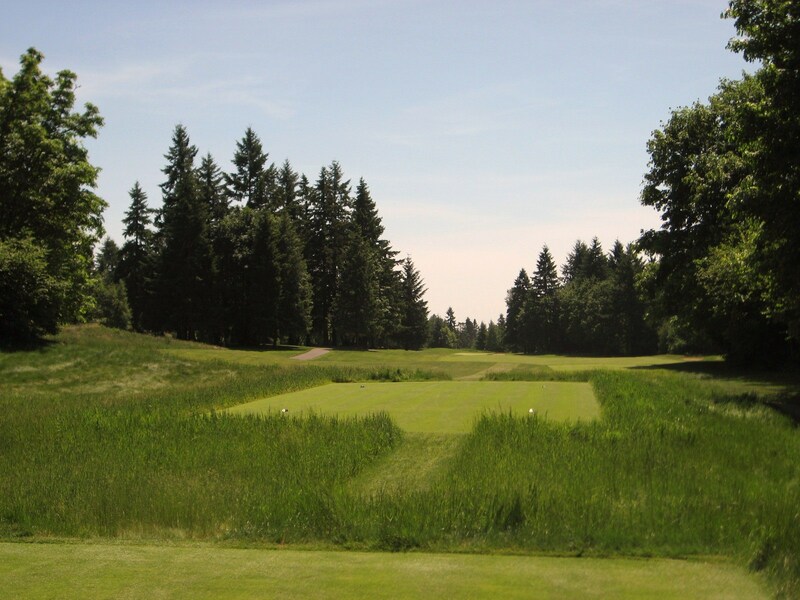 As you can see below, the tee boxes are surrounded with long grass, which might be a tribute to the wetlands that have been incorporated into the routing. This can be intimidating for the high handicapper as a topped ball is often lost. 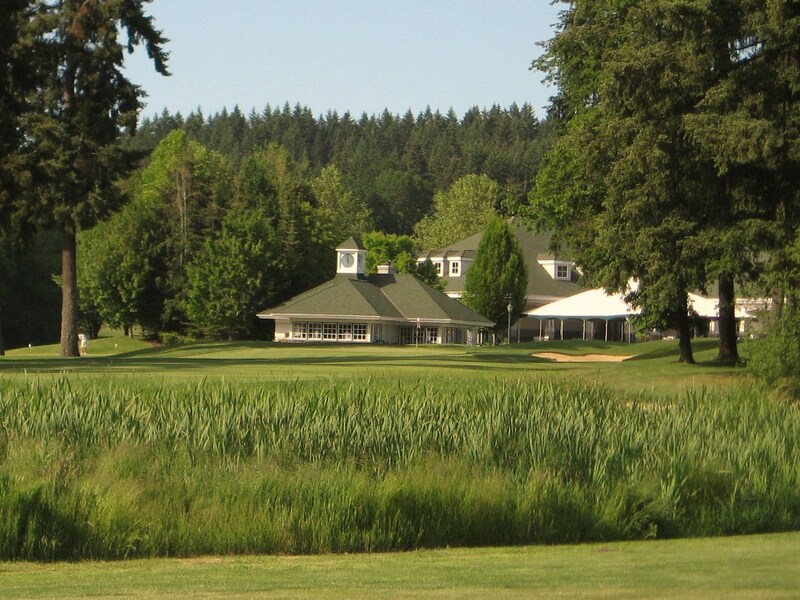 The landing area on the fourth is quite wide, with two bunkers on the far right side of the fairway and trees well to the left. 4th Tee at Witch Hollow. Photo by Rob Rigg. There are two bunkers on the left that mark the ideal landing distance for a lay up. A drive too far right off the tee will have to bend around the trees to hit the green in two. If the pin is on the left side, a good approach that runs through the opening can provide a reasonable putt for eagle. 4th Approach at Witch Hollow. Photo by Rob Rigg. 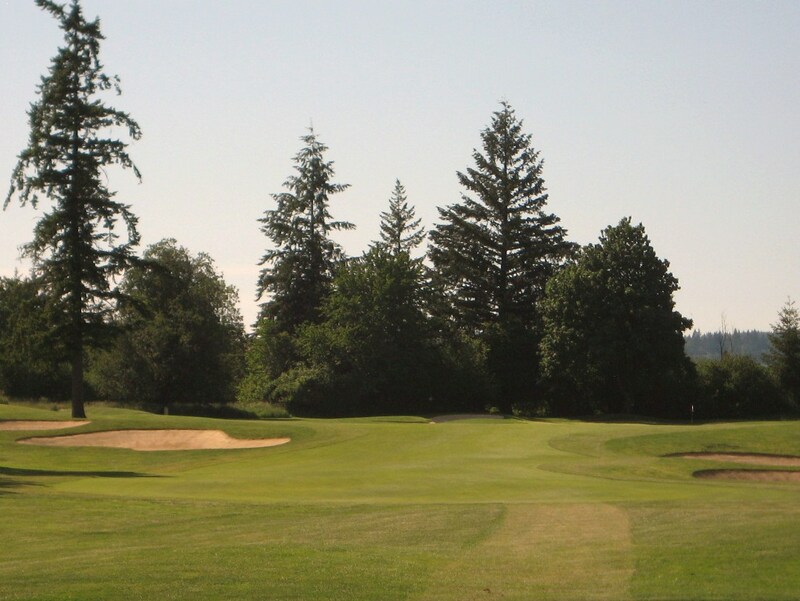 The green is protected to the left by a small bunker and on the mid to right front and by a much larger bunker with a steep face. The mounds at the back catch anything over hit, but leave a very difficult downhill pitch as the green slopes back to front with a ridge dividing the two sides towards the middle. 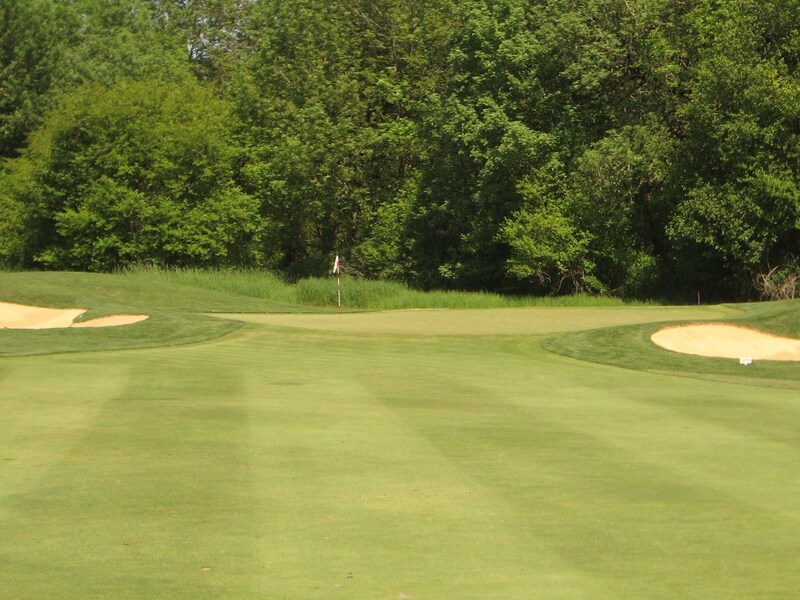 An approach to the wrong side of the green will leave a long and challenging two putt. 4th Green at Witch Hollow. Photo by Rob Rigg. The fifth is a nerve wracking par three over water to what appears to be a shallow green protected at the back by bunkers. The pin could not have been any tougher on this day as a chip or putt from the back left with too much pace could easily have gone in the water. 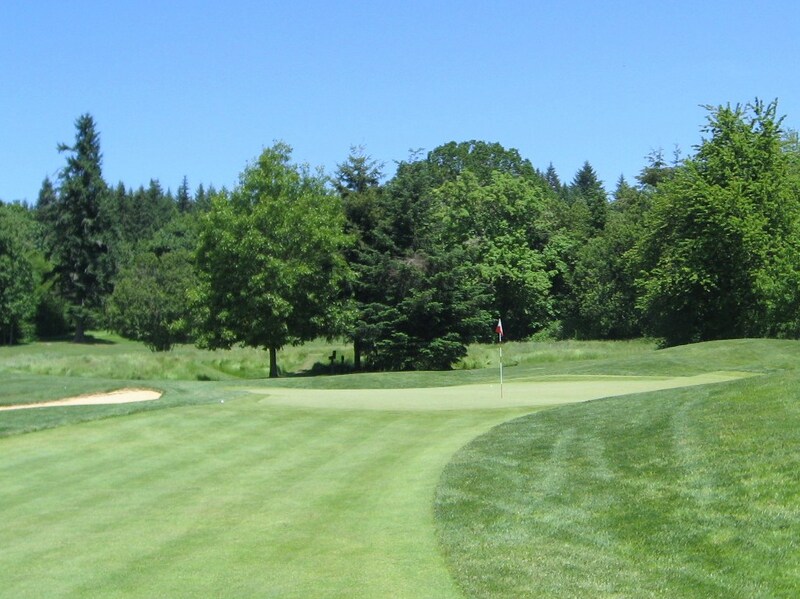 As with many greens at Witch Hollow, there are undulations on the putting surface that are difficult to pick up in the photos. This is a challenging one shotter. Par 3 5th at Witch Hollow. Photo by Rob Rigg. The sixth is a wonderful dog leg left par four where strategy is paramount. Off the tee, the ideal line is just short of the bunkers unless you can hit a long and deep draw to the left of them. 6th Tee at Witch Hollow. Photo by Rob Rigg. The mid-iron approach faces a very tricky green complex protected front left by a creek and small pond, and over the back by a drop off that makes for an almost impossible up and down. 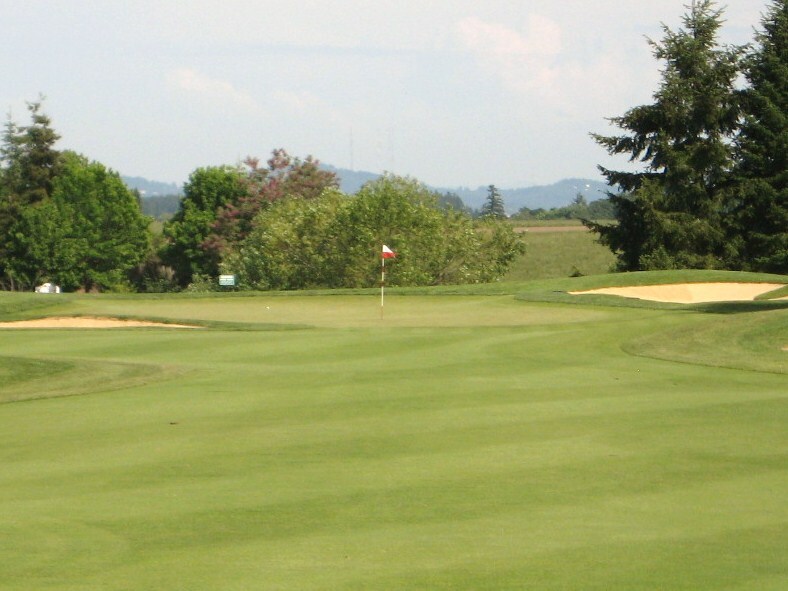 From the right side of the fairway, the golfer can draw the ball in using the slope of the land and the green to work the ball close to the hole. There is sufficient room to run the ball onto the putting surface with a well placed punch shot. Approach to 6th Green at Witch Hollow. Photo by Rob Rigg. 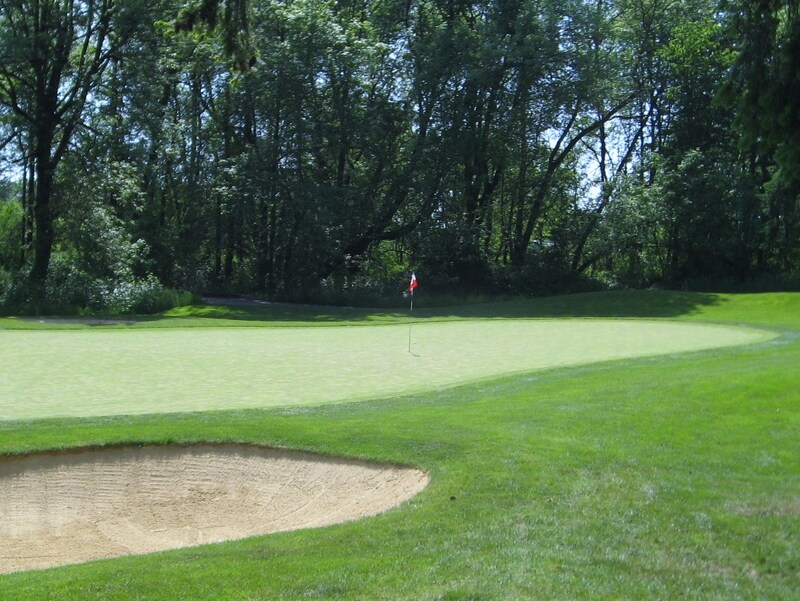 As is evident from the photo below, the putting surface is anything but easy to navigate. The back left of the green sits on a shelf that slopes towards the pond. 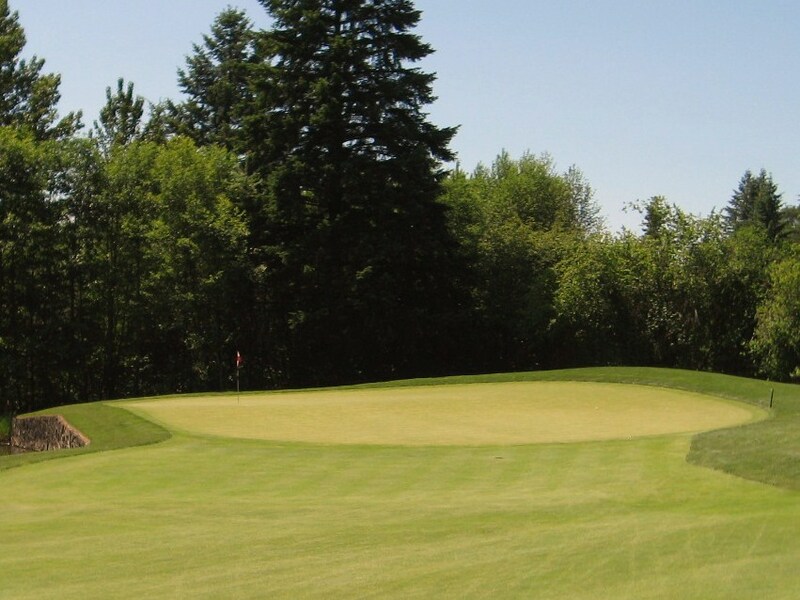 When the pin is on that portion of the green, any putts from elsewhere on the green have to go uphill, over the ridge, and then steeply towards the hole. It is difficult to weight the putt accurately as it will pick up steam on the downslope and quite possibly end up on the fringe. A par on this hole is a great achievement. 6th Green at Witch Hollow. Photo by Rob Rigg. The tee shot at the three shot seventh is my favorite on the entire property. As you walk off the sixth green, you are met with a spectacular vista that includes the coastal mountain range in the background. The drive seems even more heroic that it is due to the well placed forward bunkers on the right side that hide additional fairway beyond. An errant tee shot to the left will end up in the trees, the bunker or on the 8th green (which is a design issue), while trees and high grass will gobble up anything too far right. 7th Tee at Witch Hollow. Photo by Rob Rigg. You can see how the architect messes with the golfers mind. The left and right bunkers look fairly close off the tee but there is probably seventy-five yards between them. An appropriate use of “fore” bunkers. The short right bunkers at Witch Hollow’s 7th. Photo by Rob Rigg. The hole is dependent on the tall trees on the right to protect the ideal landing area for a lay up. Only a cut will find the optimal angle on the right side of the fairway to approach the pin. 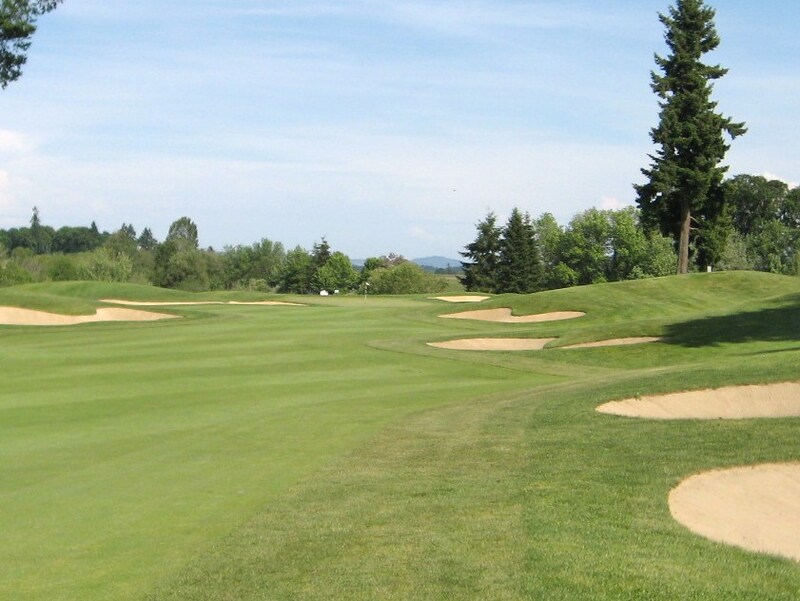 The left side of the rolling and undulating fairway is protected by a series of bunkers. A herculean three wood from the left side of the fairway could be drawn onto the green by a tiger golfer. Landing area on the 7th at Witch Hollow. Photo by Rob Rigg. The green is partially hidden by a large fronting bunker, while sand left and right seems to indicate that long is the best option. Unfortunately for the first time visitor, they may find themselves in a well placed and closely mown “chipping area” that leaves a very difficult up and down. The green slopes back to front, and left to right, so the ideal lay up to any hole location is short right to provide the optimal angle onto the putting surface. Approach to the 7th at Witch Hollow. Photo by Rob Rigg. The eighth is a fairly easy two shotter that uses the green complex to protect par. 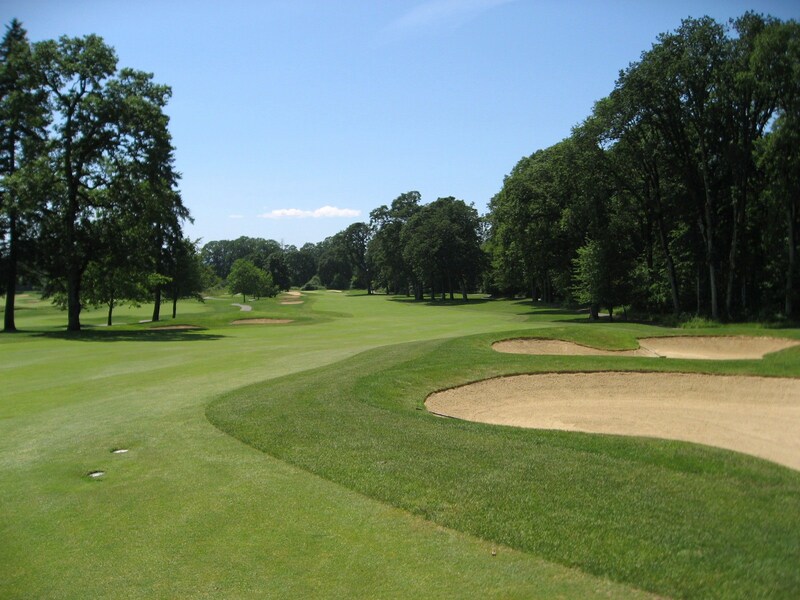 A driver or three wood played into the generous landing area will leave a short iron into the three tiered green. The best angle is actually from the 7th fairway which presents another unfortunate design issue. 8th Tee at Witch Hollow. Photo by Rob Rigg. Cupp has created some interesting pin positions on this green, and the one behind the bunker appears the most daunting. There is a back shelf, a front left shelf and a front right shelf. Anything long with leave a speedy downhill chip to the pin. Short left is not a bad miss as it opens up the green and allows the golfer to try and knock it close to lock in a par. The eighth is a fun hole where there are probably as many double bogeys as birdies. 8th Approach at Witch Hollow. The long par four ninth is a great hole to close out the front nine. The strategy off the tee is in the hands off the golfer as the architect presents multiple options. Left off the tee minimizes the second into the green but the angle is tougher as a large stand of trees runs up the left side. 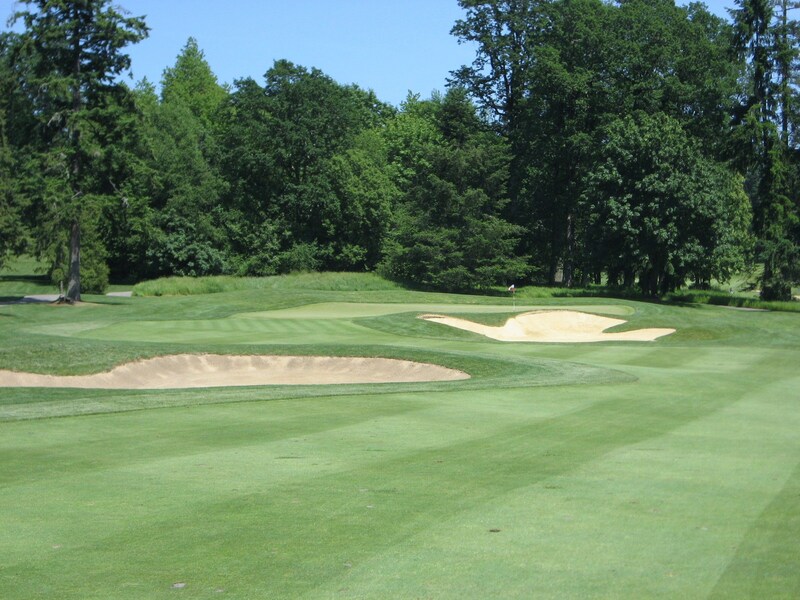 Short right leaves a very long approach, while a drive over the bunkers, or even better past them, provides the golfer with a great look at the pin with a mid to long iron or hybrid. 9th Tee at Witch Hollow. Photo by Rob Rigg. 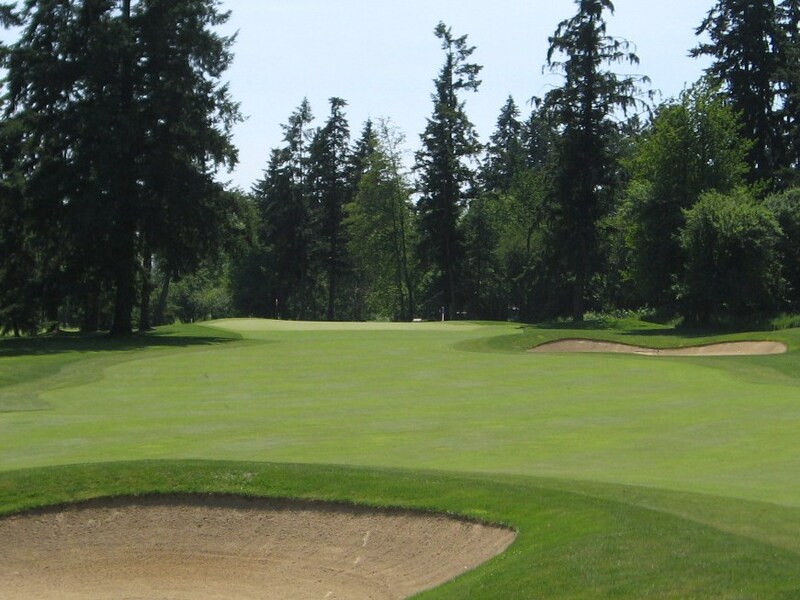 As the photo below illustrates, the green really opens up at or past the bunkers which makes a low running shot or high draw the optimal approach into a green which slopes back to front. Approach to the 9th at Witch Hollow. Photo by Rob Rigg. 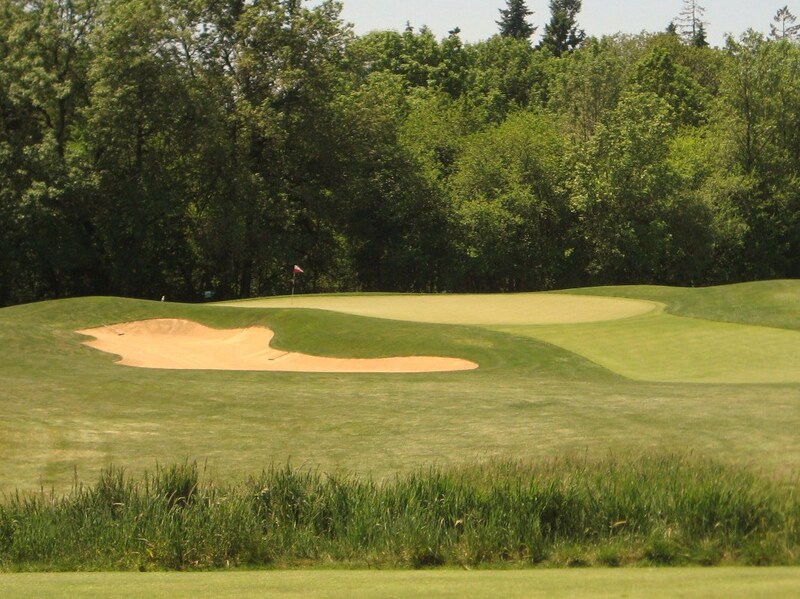 The tenth is a long par three with two great “fore” bunkers that create a depth perception issue off the tee. The left side of the green is protected by two bunkers and the green site is set down amongst mounds to make the putting surface look smaller than it really is. The green slopes from back left to front right, which makes blasting out of the green side bunkers a difficult proposition. 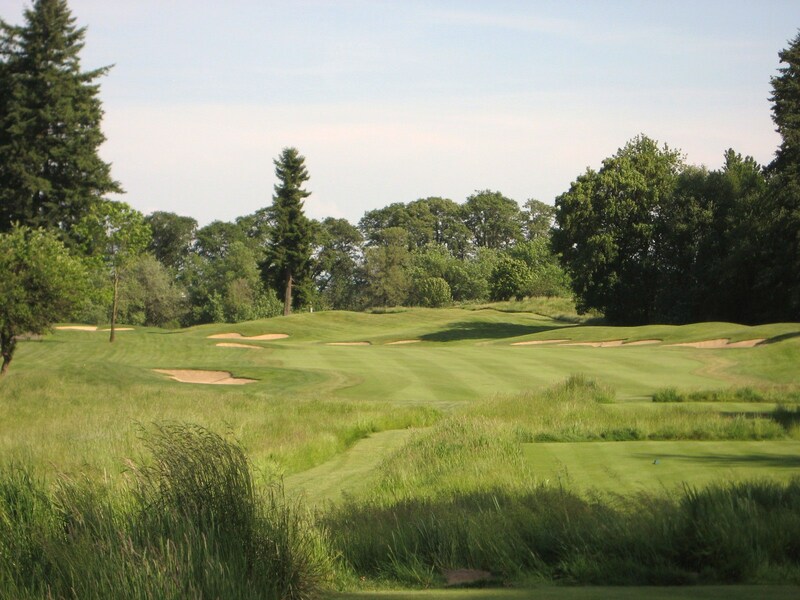 This is another great par five where the architect challenges the golfer from tee to green. The location of the drive will dictate whether or not it can be reached in two. 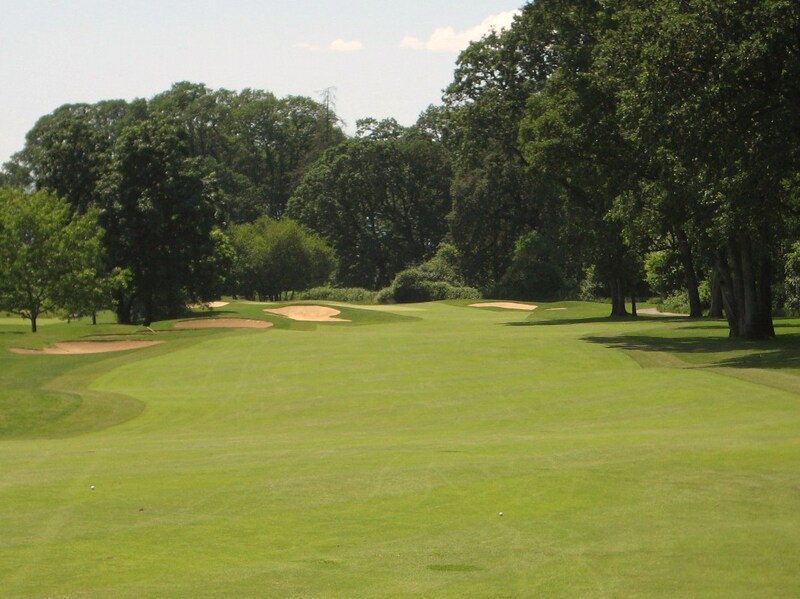 Long and over the corner will provide a look at the pin, while too far right will stymie the golfer behind a tall tree. Unless you are Tiger Woods at the ’96 US Amateur, in which case you just hit a 6 iron 220 yards over it. 11th Tee at Witch Hollow. Photo by Rob Rigg. As you can see, the tree on the right can really dictate play. The smart lay up is somewhere to the left of the bunkers which will leave less than a hundred yards to the pin with a great angle in. 11th fairway at Witch Hollow. There is more to the green than meets the eye since a closely mown chipping area lurks behind the putting surface back right to collect approach shots that are too aggressive. On this day, it was tough to stop the ball close to the pin because the green slopes to the back. An up and down from either greenside bunker is something to celebrate. 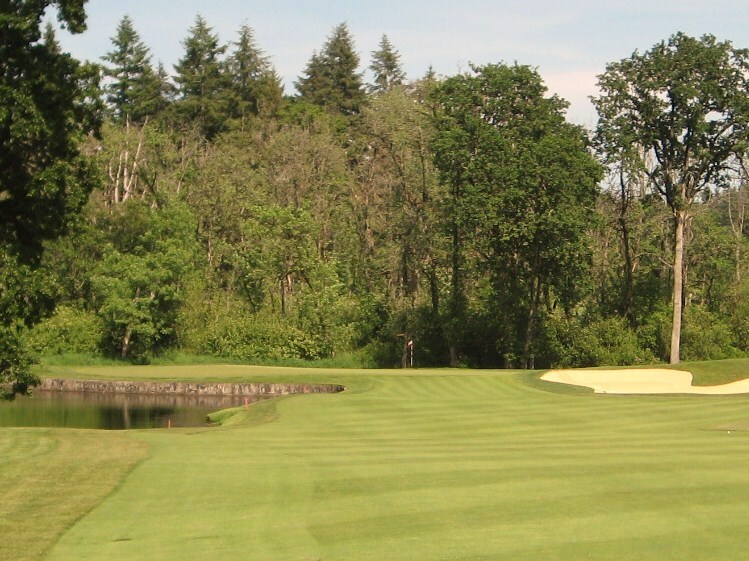 An eagle is certainly possible at the eleventh, but scores can get ugly as well. 11th Green at Witch Hollow. Photo by Rob Rigg. A picturesque short one shot hole. There is probably about a one club difference between the front right and back left of the green. On this day, a sucker pin challenged the golfer to decide between an exacting shot to provide a chance at birdie or a safe tee shot which would leave a tough two putt. The 12th Hole at Witch Hollow. A well struck drive will get a turbo boost off a downslope and leave a short iron or wedge into the green, while an errant tee shot will end up in the sand, or worse, to the right or with a difficult angle from the rough on the left. The ideal drive below still needs to traverse a long bunker to access the pin. Approach to 13 at Witch Hollow. The 13th green is quite deep and slopes towards the back left which makes stopping the ball a challenge, especially out of the green side bunkers. Once again, Cupp proves that a round is always more interesting when the golfer is not constantly facing back to front sloping greens. 13th Green at Witch Hollow. Photo by Rob Rigg. 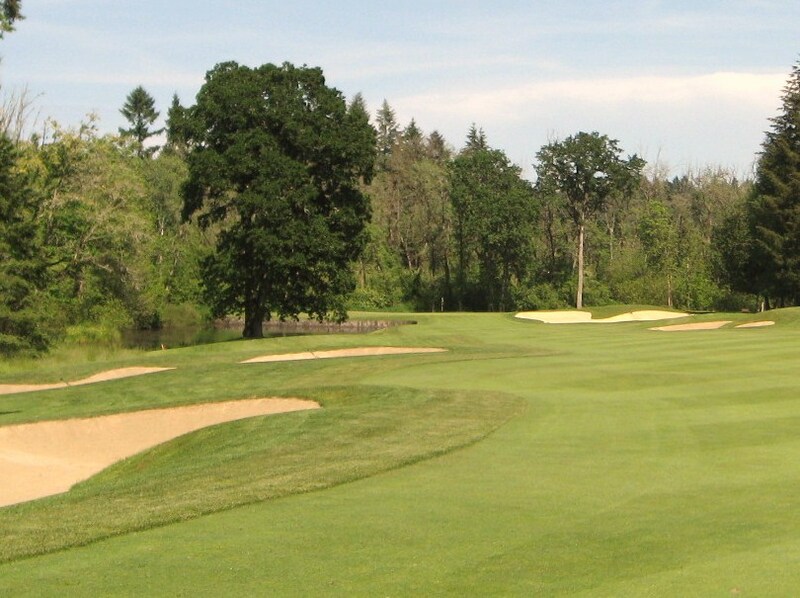 Fourteen is one of my favorite holes on the course because it is a very reachable, but dangerous, par four and a half that comes at a pivotal point in the round for any match. The optimal drive will land on the left portion of the fairway and get a nice roll out down the slope as the hole doglegs left towards the green. 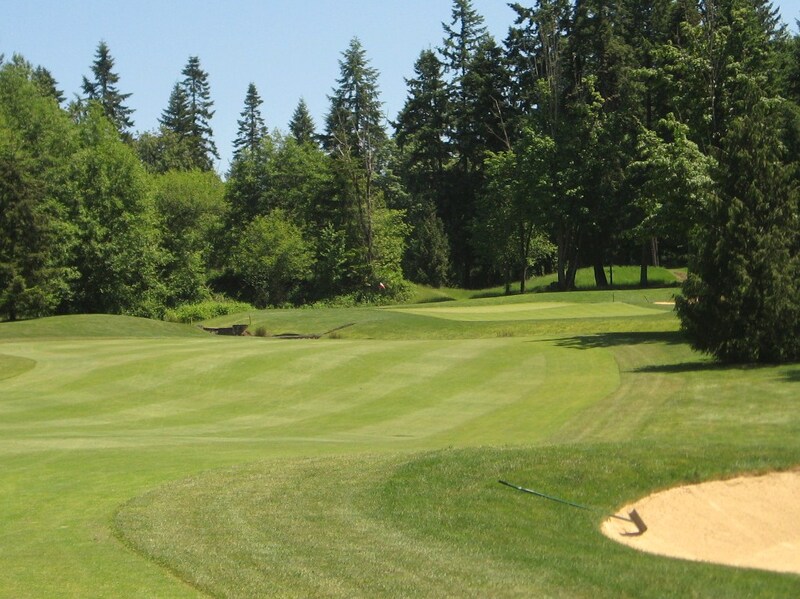 An ambitious drive may get caught up in the left side bunkers, while a hook left puts you in the hazard and a push right puts you in the trees. 14th Tee at Witch Hollow. Photo by Rob Rigg. On this day, a tailwind made the green very reachable, even from the bunker on the immediate left in the picture below. The opening to the green is narrow, but there is more room than you may expect over the large bunker on the right. Water left is dead and anything landing on the green with speed will vault over the back and into the waiting wetland. This is a really fun hole where an eagle or an X is possible depending on how aggressive the golfer decides to play and how well the he executes the drive and approach. Approach to the 14th Green at Witch Hollow. Photo by Rob Rigg. 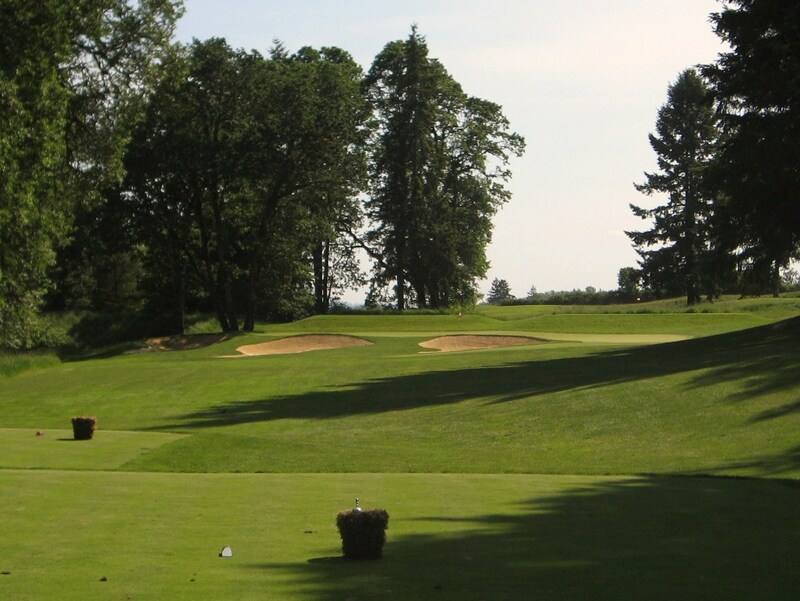 The landing area for the lay up is very accommodating, but since the green slopes from front to back, it can be tricky to stop your ball close to the hole. A left side pin position really squeezes the green since the water on the front and wetlands at the back bring a big number into play. The 14th Green at Witch Hollow. Photo by Rob Rigg. 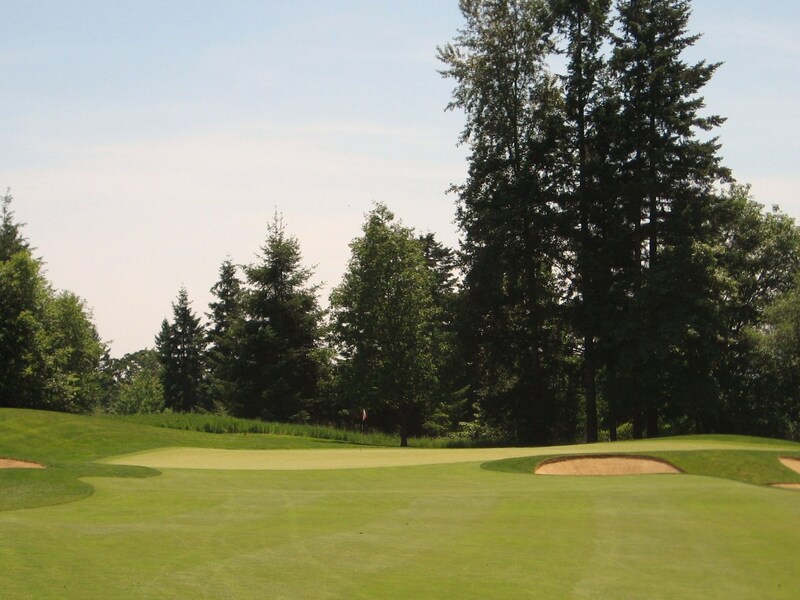 Club selection is vital to par the fifteenth since the green is wide but shallow, split into three distinct sections, and surrounded by danger. The three bunkers on the front are deep, so it is probably better to hit your tee shot into the bunker wide left or miss to the right. Over clubbing will leave a very delicate downhill chip to the pin. There is nothing easy about any of the one shotters at Witch Hollow. The 15th at Witch Hollow. Photo by Rob Rigg. From the tips, the slightly uphill drive on sixteen looks daunting since Cupp placed bunkers short on the left and right to make it seem like the fairway is quite narrow. Since the hole plays into the wind, the architect’s strategy is even more effective. Bear down and give it a rip, there is room over the bunkers, especially on the left side. 16th Hole at Witch Hollow. Photo by Rob Rigg. 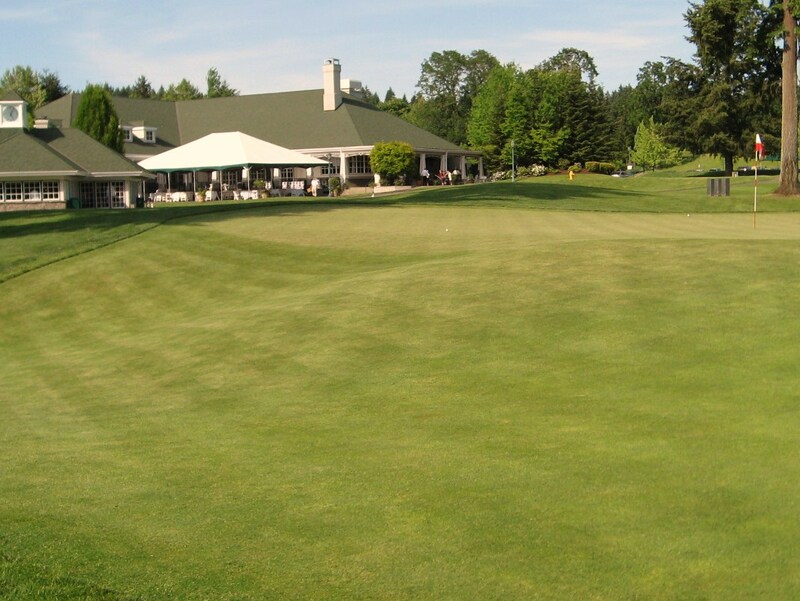 On this day, there was a two club wind to battle against into this large and segmented green. The bunkers on the right start about 50 yards short of the green and can leave a brutal up and down. A pulled approach will end up in the bunker on the left which also makes for a tough up and down. Sixteen may not seem like a long hole on the score card but it plays that way. Approach to the 16th at Witch Hollow. Photo by Rob Rigg. With a tailwind you can bomb a drive on seventeen, which is a dogleg left, but the fairway bottle-necks if you hit it past 250 or so which means the bunkers lining the fairway are very much in play. 17th Tee at Witch Hollow. Photo by Rob Rigg. There is an opening to the front of the green which will help a low shot run onto it. Anything left or right is big trouble since the green is a punch bowl, sloping towards the front and middle. Long is really bad as there is a steep hill that takes you to the eighteenth tee. Approach to the 17th at Witch Hollow. Photo by Rob Rigg. The green is a lot deeper than it looks. The ball in the picture is at the back and the pin is at the front. This 50 foot putt was downhill across a couple of undulations and as challenging as it gets. 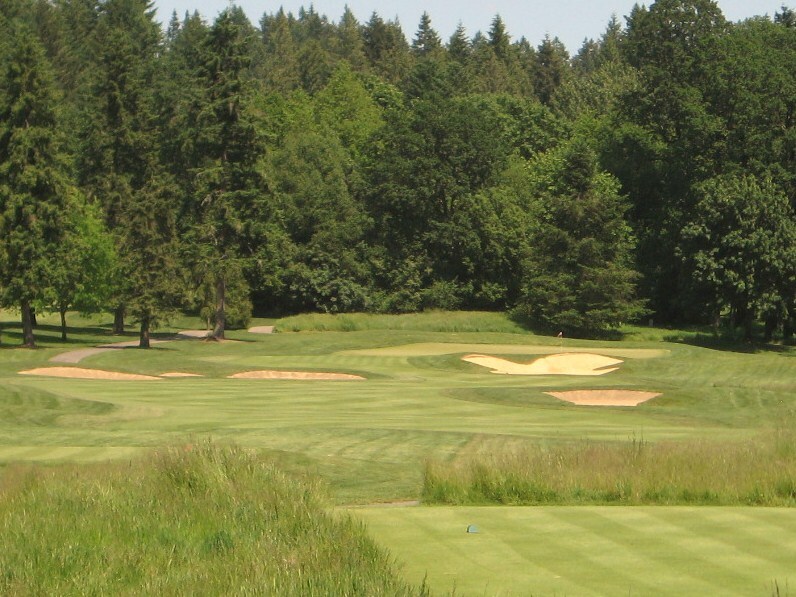 A four on your card at seventeen is a great score as it plays a lot tougher than the twelfth handicap hole. 17th Green at Witch Hollow. The golfer will probably never see anything like the eighteenth at Witch Hollow as the hole plays from tee, to landing area, to green, over a series of wetlands. A long drive can be hit slightly left off the bunker straight ahead off the tee but it is safe to play a little to the right, but not too far right as anything in the bunkers lurking over there will force a lay up and a very long third. The walk from the tee to the fairway is akin to wandering through a nature preserve and very relaxing. A nice distraction from the daunting long approach ahead. 18th Tee at Witch Hollow. Photo by Rob Rigg. If you crush your drive, this is what awaits you. Trees left and right frame the green which is probably about 250 yards away. There are bunkers just over the wetlands that you cannot see on the approach, so if you hit it over, you need to carry it another 40 yards to avoid them. A short drive will force a lay up in front of the wetlands, and tall grass will be staring you in the face for your third. Approach to the 18th at Witch Hollow. Photo by Rob Rigg. 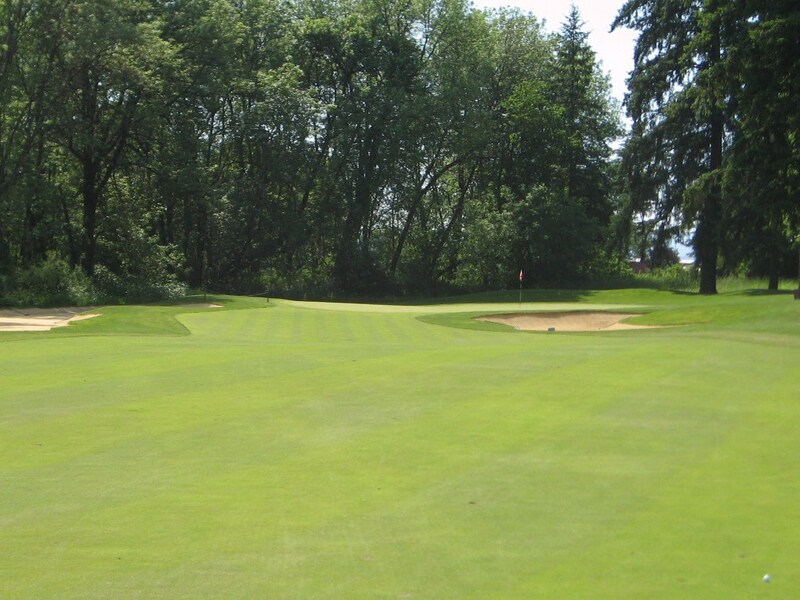 The eighteenth is another green that has a closely mown chipping area, this time on the front left. The front right is protected by a bunker so if you miss the green you probably want to be long. 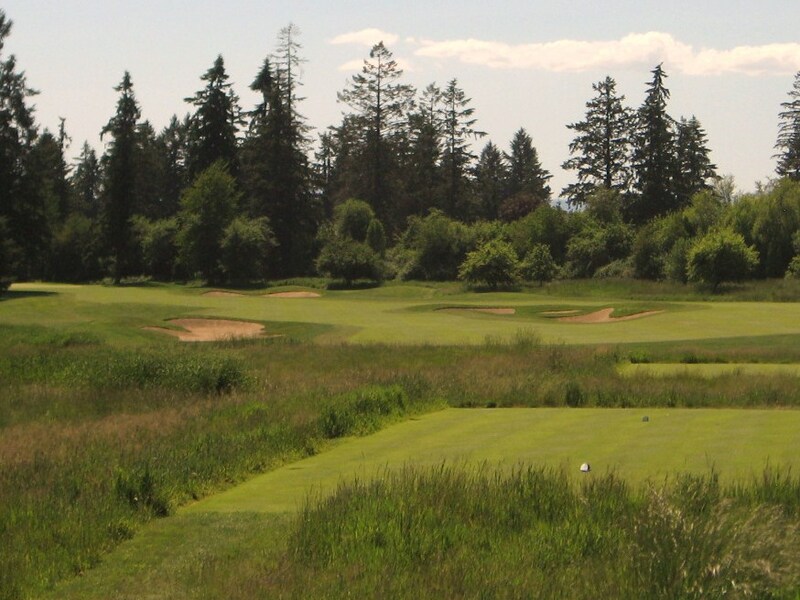 The character of eighteen is out of place with the rest of the course and, unfortunately, can leave a very sour taste in your mouth at the end of a round. 18th Green at Witch Hollow. Photo by Rob Rigg. As a walking golfer, I was enjoyed my round at Witch Hollow and would have happily walked up to the first tee for another eighteen. 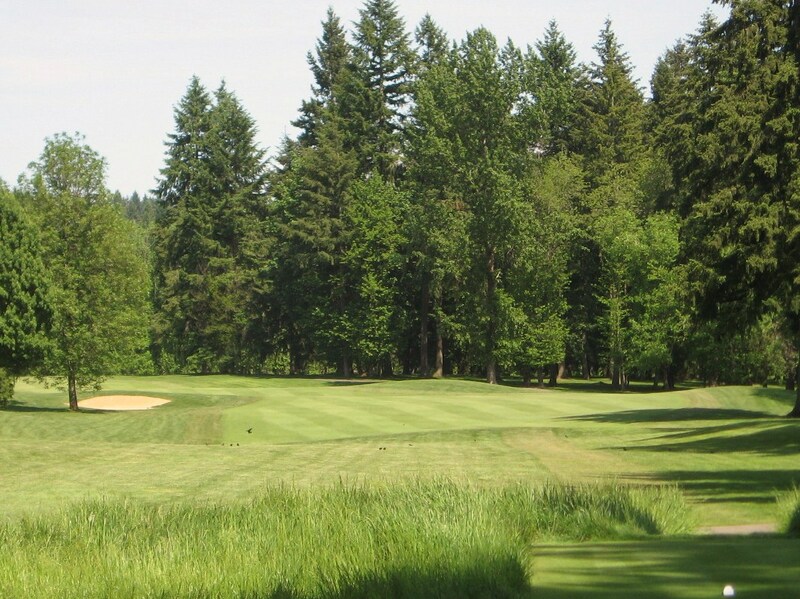 The course is a pleasure to walk, even easier than its sister course Ghost Creek, as elevation changes are nicely incorporated into the routing and the walking golfer will never find himself out of breath. In terms of architecture and aesthetics, Bob Cupp has done an good job of creating a flowing routing that blends effortlessly with its environment. 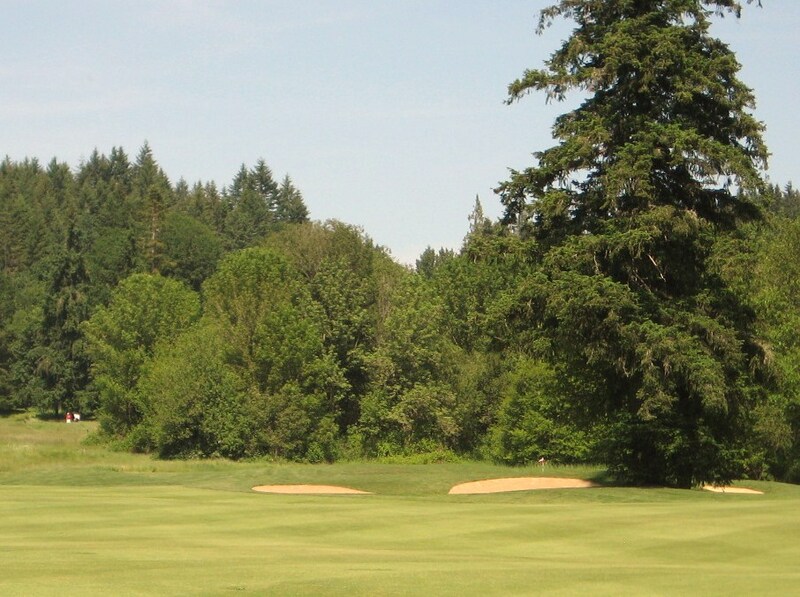 Strategy at Witch Hollow is paramount, and there are multiple options on most holes. 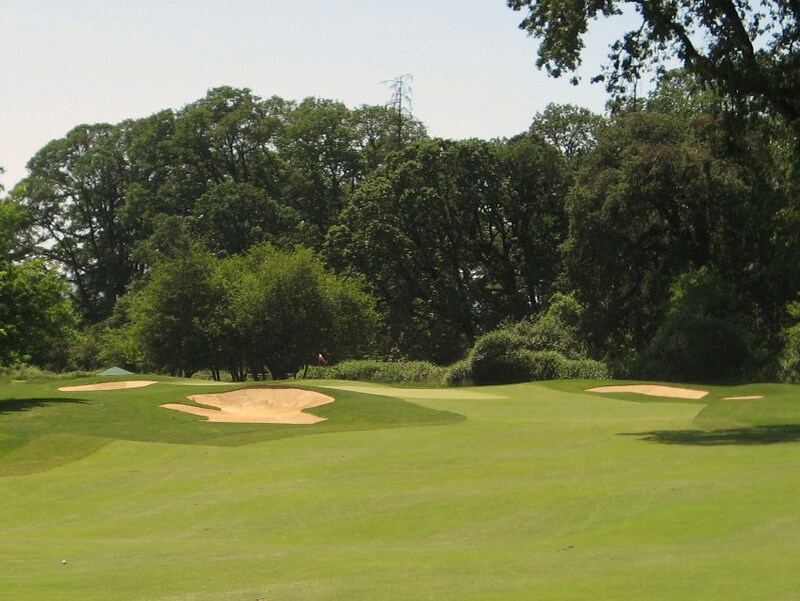 Witch Hollow really distances itself from many of the penal tree lined courses in the area, providing wider fairway width and various lines of attack into the greens depending on hole location. 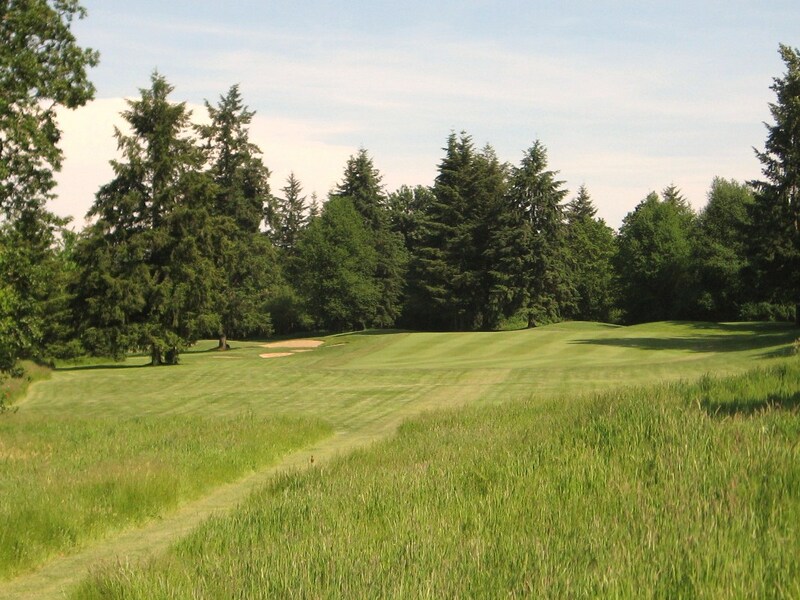 With five sets of tees, the course is very playable for all types of golfers, although the long grass around the tee boxes may present a mental challenge to the high handicapper or very short hitter. 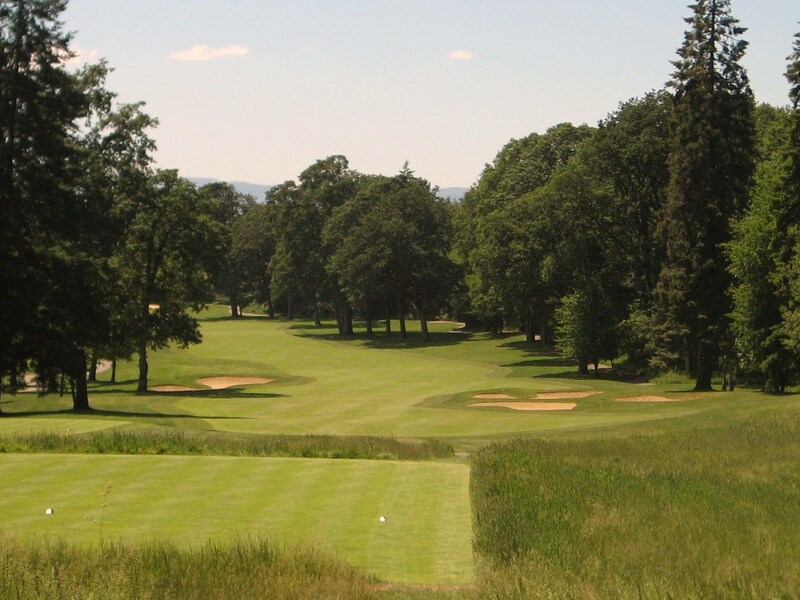 Witch Hollow is the type of club, in my opinion, that good golfers gravitate towards because you have to think your way around course, playing conservatively at times and being aggressive at others. 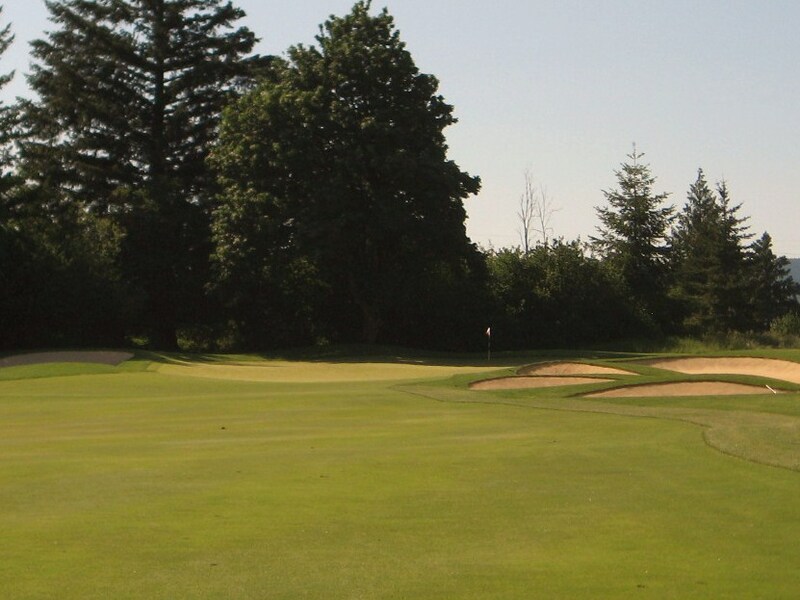 The greens are usually in very good condition which puts a premium on feel and the architect challenges the golfer to read both subtle and severe undulations over the course of a round in order to get the ball in the hole. The Walking Golfer rates Witch Hollow an 8.25 out of 10 based on the scale below. 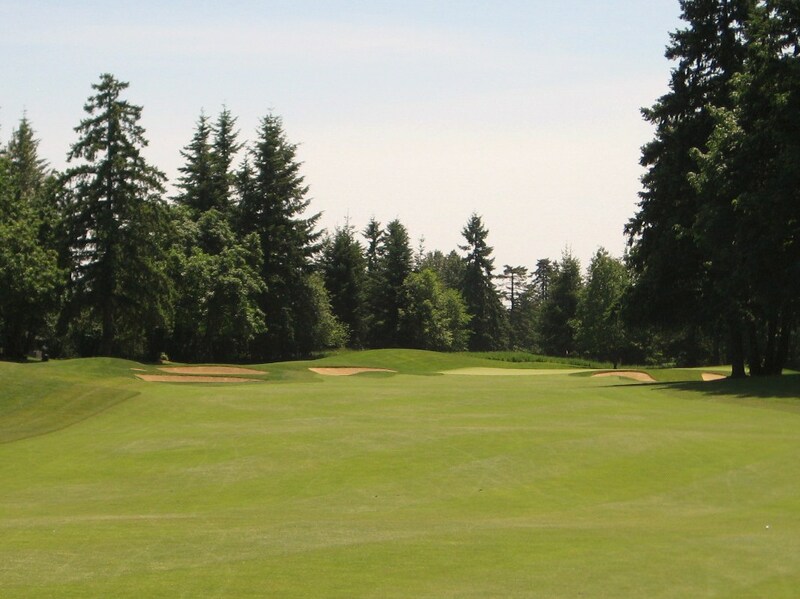 The membership at Pumpkin Ridge are fortunate to have such a formidable one, two punch, in Witch Hollow and Ghost Creek. Both are excellent courses and either eighteen would make most clubs in the country envious. I seriously doubt you played this course if you rate the walkability 3.75. I got a chance to play this course last year and have never played a course so walkable. Just out of curiosity, why did this course lose .25 in that score? Interesting, I have played quite a few courses that receive 4.0 ratings that are clearly more walkable than Witch. 3.75 out of 4 means it is almost perfect for walkability. 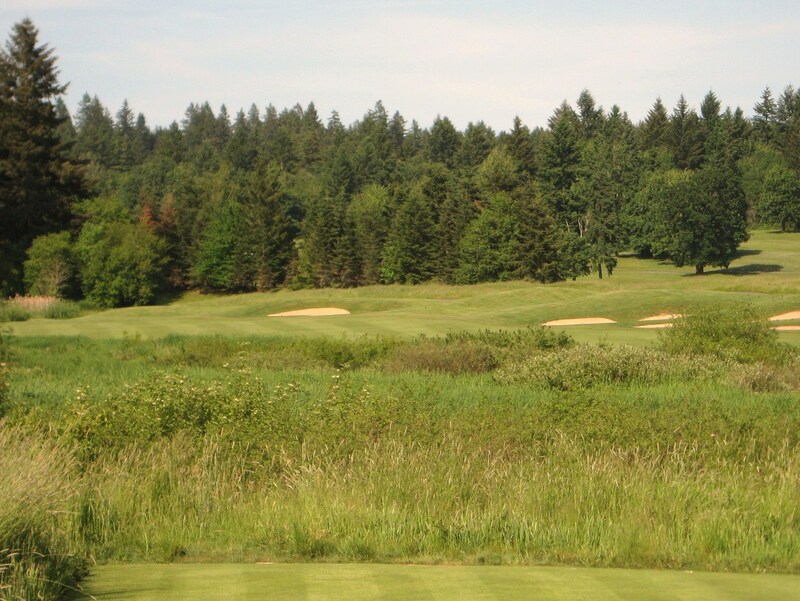 A perfectly walkable course is pan flat, where Witch has some small hills, and green to tee transfers are very short, where Witch has a couple that are 30 yards or more. Hence, WH received an almost perfect rating for walkability.